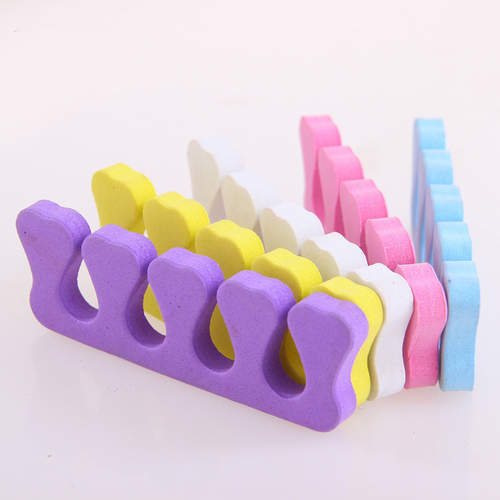 Foam Toe Separators keeps toes comfortable with cushioned separators, great for pedicures, prevents rubbing. Includes 1 set. Comes in colors: Orange; Pink; Green; Purple.